"He Must Increase" (April 7, 2019). At Living by Faith Church, we are a group of friends: first friends of Christ (John 15:14) and, because of that, each other’s friend. We laugh, we sing, we eat, we work, and in all of it we enjoy God, the giver of every good and perfect gift (James 1:17). Many people think of God as angry and severe, looking for any reason to punish the sinner and send him to perdition. But the Bible pictures Him differently, for it says of God, “You will show me the path of life: in Your presence is fulness of joy; at Your right hand are pleasures forevermore” (Psalm 16:11). God is inviting you to rejoice in Him, and it would be a blessing for us to share that joy with you here at Living by Faith Church. 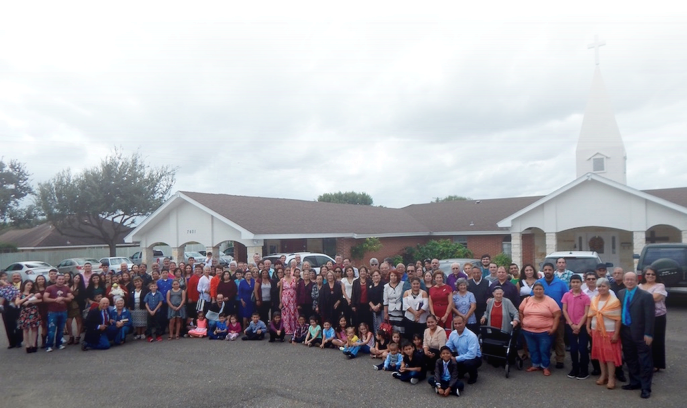 *Living by Faith Church is the legally registered church Ministry name of Edinburg Chapel, Inc.